Not my eyes again! Why did it have to be my eye? 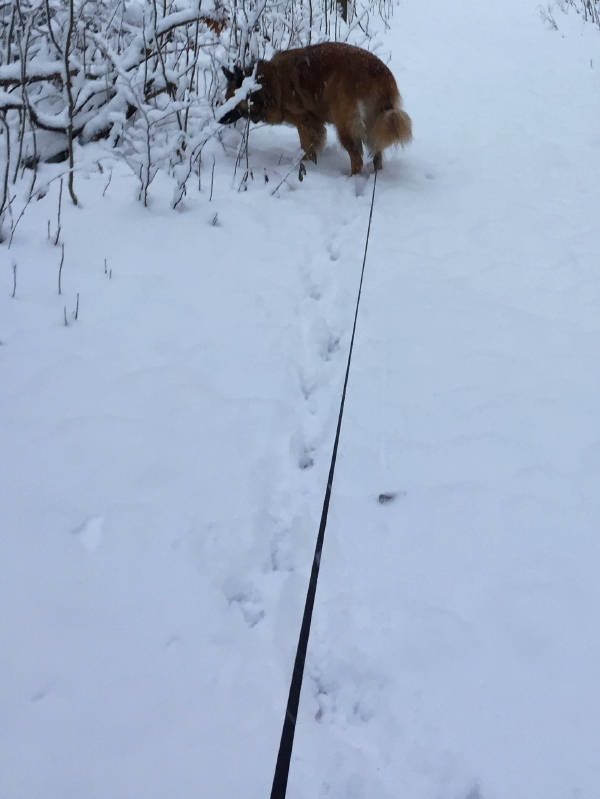 We use a retractable leash for Delilah and yesterday’s wet snow was sticking to it something fierce, occasionally plugging the return function. When I took her in the barn on my way to feed the horses, I hung the leash on the hook I use every time we go through this routine. From that distance, Delilah can wander out far enough to see the horses while I do a little housekeeping under the overhang, prior to serving their feed pans. Before bringing out the feed, I stop to temporarily lock the retraction on the leash, after shortening the reach to a point where Delilah can’t disturb the herd while they eat. Her past performances have dictated her fate. She can sit by herself in the barn while they munch. 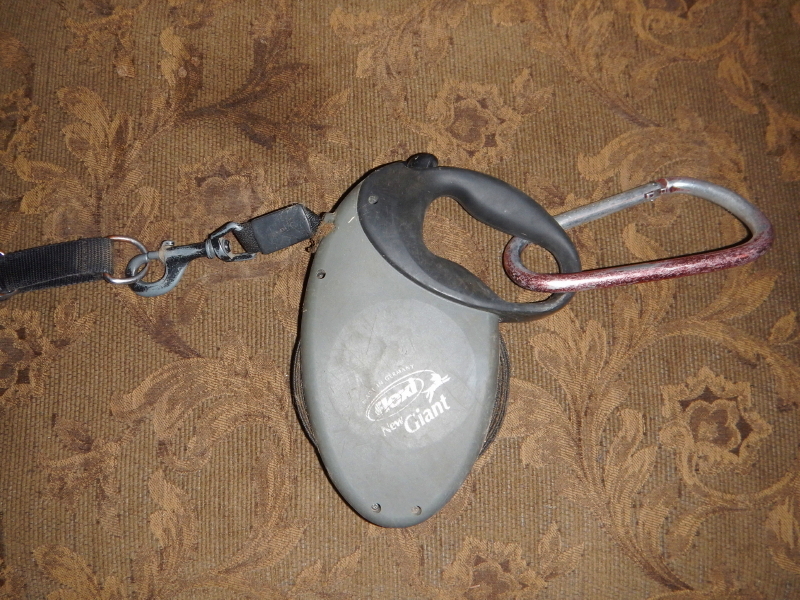 With the retracting feature off, the extended wet leash was laying on the sand floor of the barn. When I was done with horse duties and ready to take Delilah for an extended walk, I grabbed the leash with an instantaneous thought that I should run it through my gloved hand to scrape the grit off it before it spooled up. I didn’t quite think it through all the way. With my right gloved hand, I grabbed the leash between Delilah and the ground. Leaving the spool on the hook, I reached up with my left hand to release the lock. I don’t know if it is obvious to you as you read this, but I had grabbed the wrong side of the leash with my right hand. The result was so fast I didn’t have time to blink as the spool spun and whiplashed the wet gravelly leash across my face in the ultimate insult. My right eye closed in time, but the left eye got a rude stinging slap and enough sand to wreck a day. What happens when something touches your eyeball? You close it as fast as you can! I closed mine over some grains of sand that immediately lodged under my eyelid. It hurt to blink. It hurt to leave it open. It hurt to hold it closed. It hurt bad enough to make me cry, but I think the tear ducts were plugged with sand, because there weren’t enough tears to wash it out and end my dilemma. Delilah was kind enough to just sit there while I flinched and cursed and cried and stumbled around. When I knew it wasn’t going to self-remedy, I had to cancel Delilah’s walk and rush back to the house for help. It’s always wonderful when the person convalescing suddenly has to step up and become the care-giver. Cyndie didn’t hesitate to rush her walker into the bathroom with me to start hosing the eye down with her saline solution. I really don’t like getting squirted in the eye. That stung and made my eye try to close, which hurt tremendously because there was still sand under the eyelid. I wished I could fold my eyelid like some kids used to do when I was in grade school. Cyndie worked heroically to clean it out as much as possible and added a drop of something to sooth the eye. I tried laying face down and just letting my eye rest. I figured it was possible that I had scratched my eye and that was what was hurting every time I blinked, so I was about to just wait it out. Then I stood up again and grabbed my eyelash for the umpteenth time to pull it away from my eye. It was something of an instinctual reaction. I just felt like there was something under my eye lid. 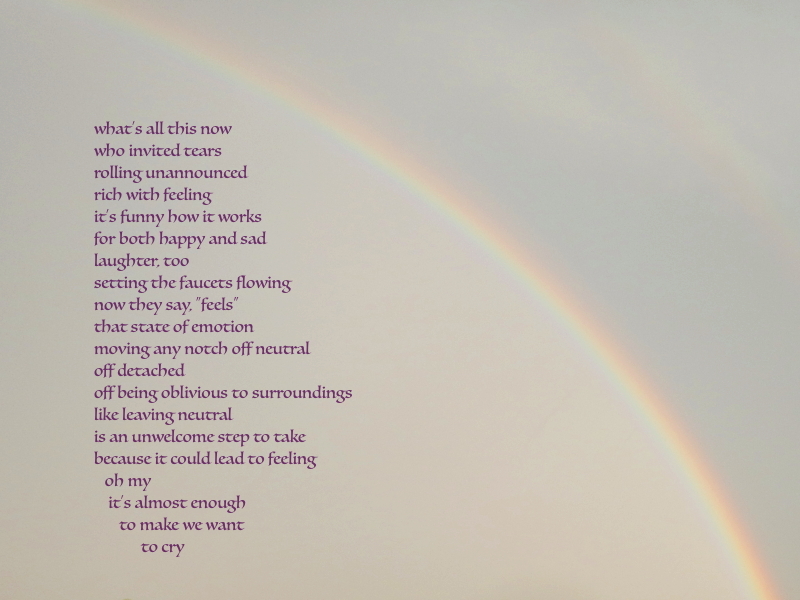 With a blink, I determined that’s exactly what I was feeling, because the stinging pain was suddenly gone. Just like that, I was back to my old self, blinking pain-free.